Every year on July 20th, there are celebrations around the world for Colombian Independence Day. The date is memorialized because it’s when the resistance to the Spanish occupation began. In Bogotá on July 20, 1810, a riot broke out among the Colombian-born population, sparked by an incident where a Spanish merchant refused to lend a Columbian businessman a flowerpot. Accounts differ on the nature of the exchange, yet the resulting revolt against the Spanish is certain. Nine years later in 1819, Colombia became an independent republic, and July 20 is the annual day to celebrate the country’s independence and culture. While Independence Day celebrations in Colombia can be subdued, Colombian Independence Day festivals in the U.S. and in cities around the globe can be very festive. With the Colombian flag raised high, celebrations can include traditional music, dance, and football games (or as the Americans call it, soccer). There are also plenty of traditional foods to enjoy, such as tamales, arepas, or these five traditional Colombian Independence Day recipes. In addition to celebrating Colombian Independence Day with local celebrations, it’s easy to reach out to the people you care about who are back in Colombia. When using Ooma’s affordable phone service, you can get unlimited calls to Colombia’s landlines for just $9.99 per month for 12 months. 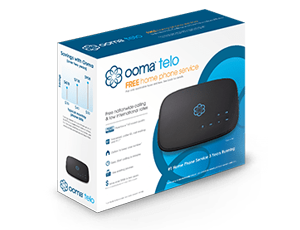 With this Ooma World plan, you can talk as long as you like to family and friends back home for one low rate, as well as have unlimited access to landlines in over 60 countries and to mobile phones in over 10 countries. Calls to Colombia-based cell phones cost 17 cents per minute. 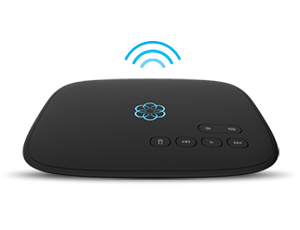 For comprehensive access, the Ooma World Plus plan provides unlimited calls to Colombia’s landlines and mobile phones. In total, the plan includes unlimited access to landlines in over 70 countries and to mobile phones in over 40 countries for only $25.99 per month. For infrequent phone conversations or if you’d rather pay as you go, per-minute rates for Ooma Basic or Ooma Premier customers are 4.2 cents for calls to Barranquilla, 4 cents for calls to Bogotá, 3.9 cents for calls to Cali, 5.7 cents for calls to Medellin, 7.9 cents for calls to Palmira, 8.9 cents to other areas of Colombia, and 17 cents to cell phones in Colombia. Ooma’s affordable international calling rates to Colombia are accessible even when you’re not at home. By using Ooma’s free calling app on your mobile device, you’ll have complete access to your Ooma calling service. The app doesn’t replace your mobile phone’s primary phone line; rather, it provides you with an alternate way to make phone calls. There are many ways you can use the app to stay connected, but making phone calls does use the internet, so connect to Wi-Fi to avoid cellular data charges. While the app is free for all Ooma users, Premier subscribers get access to additional functionality, such as being able to both make and receive calls using the Ooma app. The Ooma’s free calling app also provides an easy way to stay connected while traveling internationally. Using the calling app abroad, you’ll be able to make and receive calls as you ordinarily do back home. You won’t need to swap SIM cards, change to a local cell phone, or face the calling inconveniences of international travel. Whether you’re in Boston or Bogotá, you can use the Ooma calling app on your mobile device for affordable international calls. Additionally, because your phone number will stay the same, others won’t need to keep track of your travel dates in order to get in touch with you. Learn more about how Ooma’s international calling plans can keep you connected.